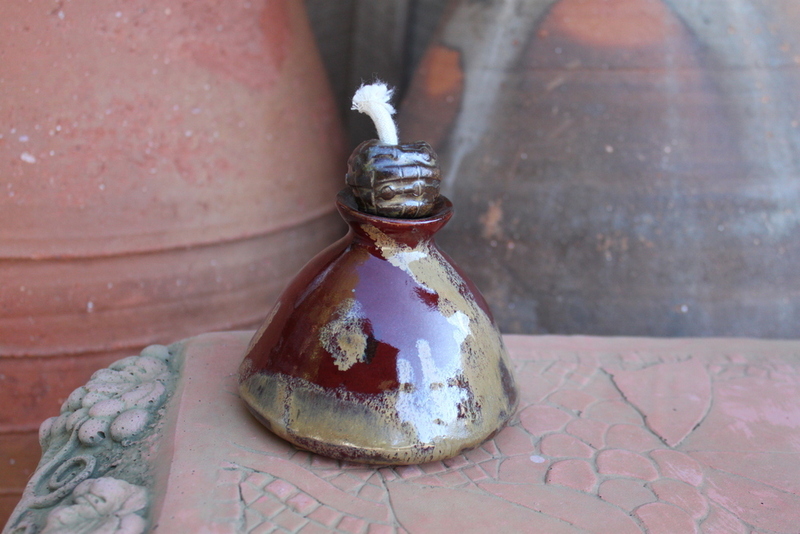 Our hand turned oil lamps are a beautiful and functional addition to your home. This oil lamp is approximately 4 1/2 inches tall with the top on. The bottom is approximately 3 inches across. It is made to fill with oil and it will burn for hours. Measurements are approximate because each piece is hand made and will vary slightly.